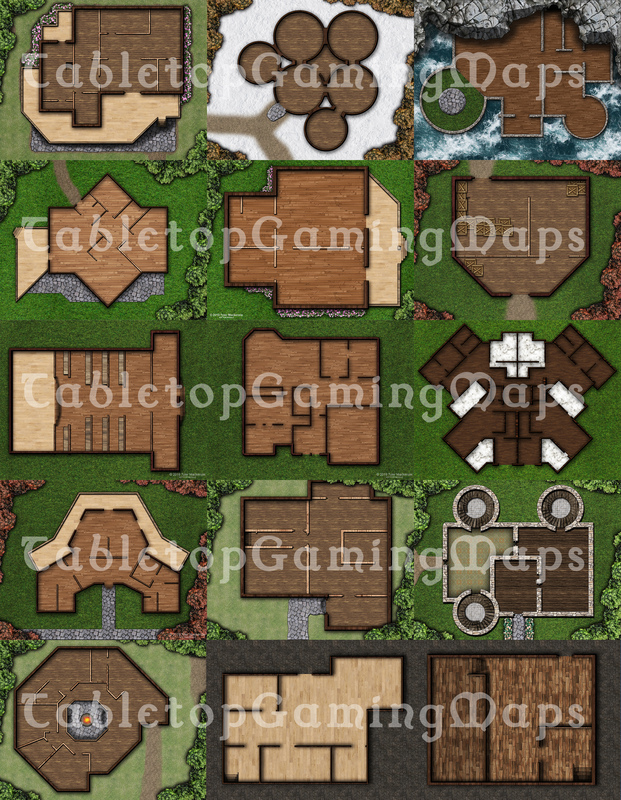 Always be prepared for wherever your players lead you with The Ultimate Tabletop Map Pack. Perfect for at home, or online use. 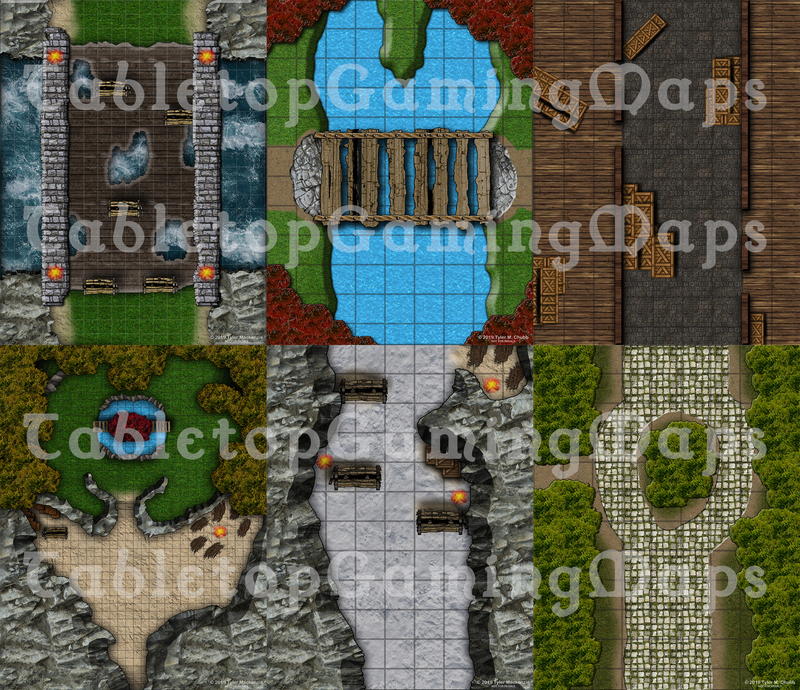 Featuring 85 full color and textured maps of dungeons & keeps, caverns, shops, taverns, and more. 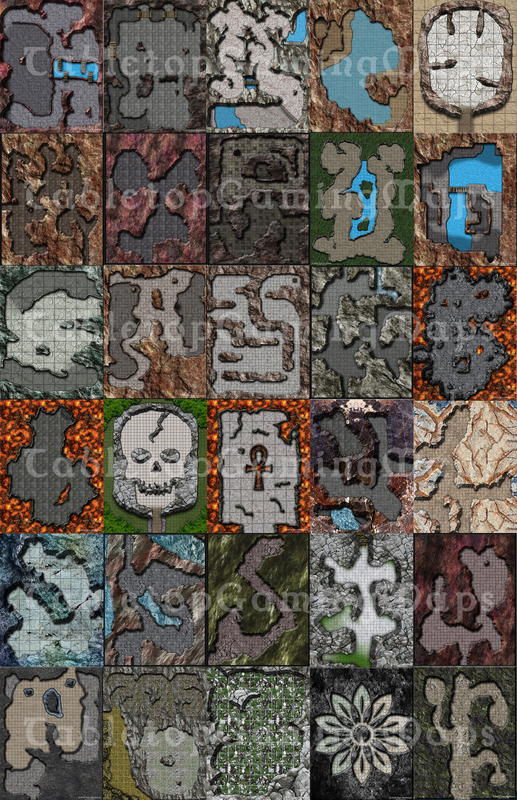 Comes with both grid and no-grid versions of each map, can be scaled for printing with to-scale 1" grids. See "You Will Receive" below. Running a gaming campaign takes a lot of work, especially when your players don't follow the paths you've planned out! Make sure you always have the perfect map at the ready by checking out my other listings. 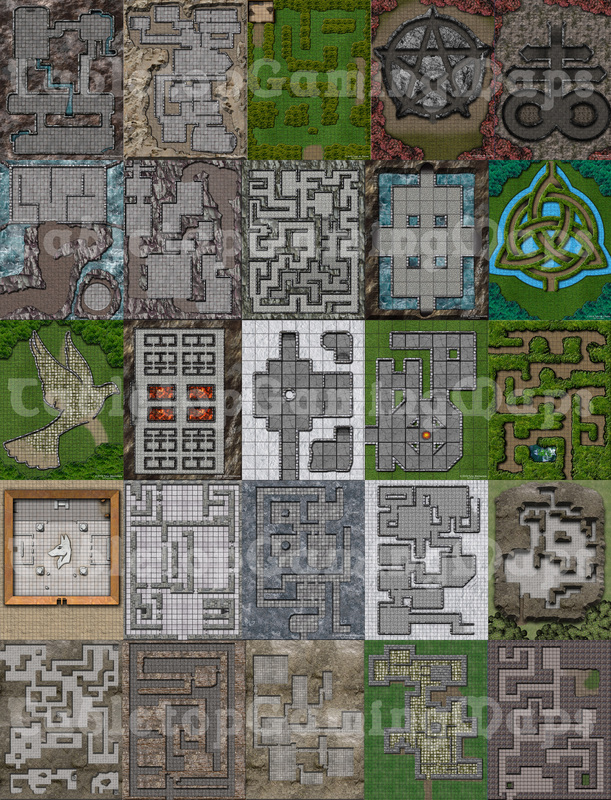 Use online or print from home and watch your players get excited when you bust out these full color battle maps. Print on a single sheet or scale up to 4x for large scale poster printing. PDF files with grids will print to a near exact 1 inch grid scale. What size are the maps? 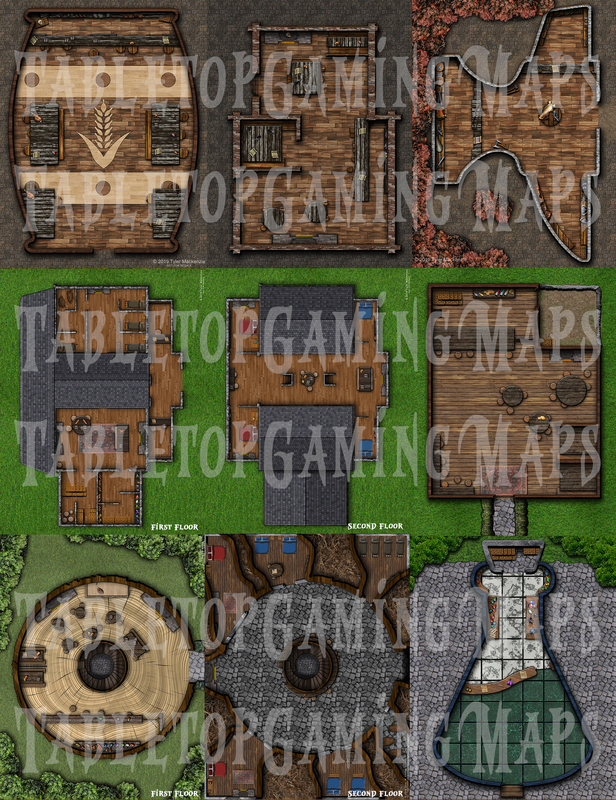 Each map is designed on an 8.5" X 11" sheet at 300DPI for maximum print quality and digital use. These files can be scaled 3-4X without losing quality for a larger scale print. Why a PDF is included? If you're looking to print from home and not at a print shop I have broken the images down into multi-page PDFs so that all you have to do is click print and then tape the pages together to form a to-scale PDF. What do you mean by "To-scale"? This means that when you print a large map (4-16 pages) the grids will be approximately 1" in size. Hey Alexander, thanks for the heads up! All of the sample should be visible now!